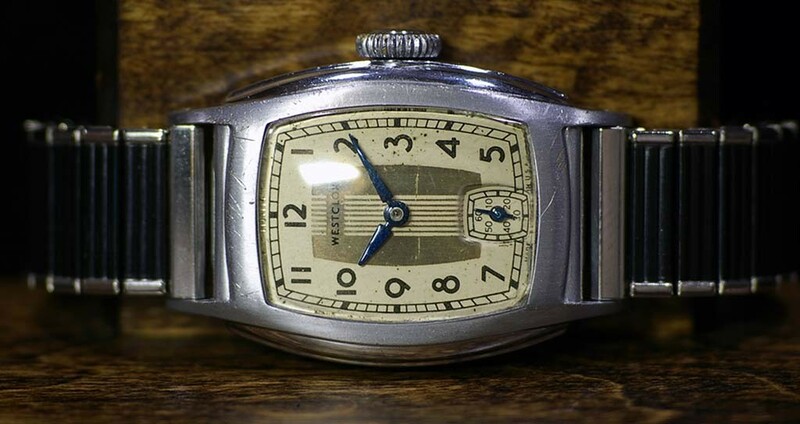 This 1942 Art Deco Style 2 Wrist Ben with chrome case and tonneau shaped time track was not running. The mainspring was wound fully but it would not tick. A complete overhaul was all it needed. All the parts were removed and cleaned, polished and lubricated. The watch keeps excellent time and looks great on the wrist. Placed on extended testing. Service complete.